HAYNEVILLE, AL (WSFA) - Three Hayneville city council members walked out of Monday night's city council meeting after being taunted by the audience. Lula Tyson-Bailey, Sharon Reeves and Cynthia Reeves left in the middle of the meeting, only to return minutes later. The three came under fire last month when they voted to terminate Police Chief Kelvin Mitchell and City Attorney Michael Strickland, as well as dismantle the Economic Development position held by Helenor Bell. They, along with Justin Pouncey, were the only council members in attendance at last month's special called meeting. Mayor David Daniel and town council member Kim Payton were not present to vote. Justin Pouncey also left the meeting early. He said the reason he left was because "the chief of police threatened to arrest me." "I didn't want to go to jail tonight," Pouncey said. Mitchell said that's not the case. "Mr. Pouncey, he told a lie tonight," Mitchell said. "I'm terminated. I don't have arrest powers." Mitchell has a different recollection of their encounter. "Mr. Pouncey made a lewd remark to Councilman Kim Payton and I told him 'do not speak to that young lady in that manner,'" Mitchell said. Following his termination, Police Chief Mitchell asked the council why he was fired, to which Bailey said she would give him a reason at the next council meeting in May. That meeting was on Monday, and Mitchell was front and center. He has been Hayneville's police chief for 14 years and attended Monday night's meeting to find out why he was fired. But, before he was told, the three city council members who voted to fire him got up and left. WSFA 12 News followed the three council members out of the building. Two declined to interview; however, Sharon Reeves stopped to answer a few questions. When asked why Mitchell was fired, she said the answer was simple. "We have been getting a lot of complaints from the citizens of Lowndes County, they're not showing up when they're called, the stores are getting robbed and no one's there," Reeves said. 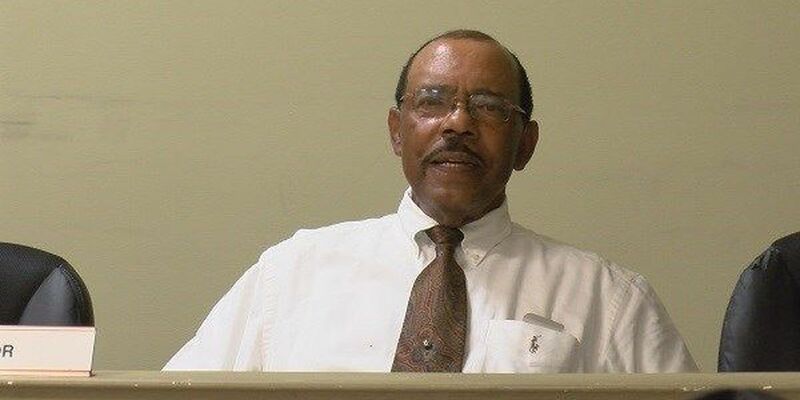 WSFA 12 News was the first to inform Mitchell of the reason why he was fired, to which he responded: "it's just ludicrous at best they didn't even dignify it with an answer I respond to each and every call I get." Mayor of Hayneville, David Daniels, was upset that Mitchell was fired. "I didn't eliminate him. Those three council members did. Two of us weren't here at that council meeting when they eliminated him. They voted him down without due process," Daniels said. "I would like for him (Mitchell) to stay on, I would like for Helenor Bell to stay on, I would like for our attorney to stay on, Attorney Michael Strickland. I have no gripes about all of those people. I liked the jobs that they were doing," Daniels said. Mitchell said he is currently seeking litigation. "The law clearly states you must give me a preliminary hearing, or suspension with pay before termination," Mitchell said. "I've got an attorney, and we're going to end up in federal court. There's case law that says that if I'm interrupted out of my sleep, and for the last 13 years and eight months, I've been interrupted numerous times and you must pay. My calculations ran it really, really high and I want my money immediately because you terminated me." The next council meeting will be in June.